Spring has really sprung here! The grass is finally green, the trees are leafing out, flowers are blooming, and the weather’s finally getting warmer! 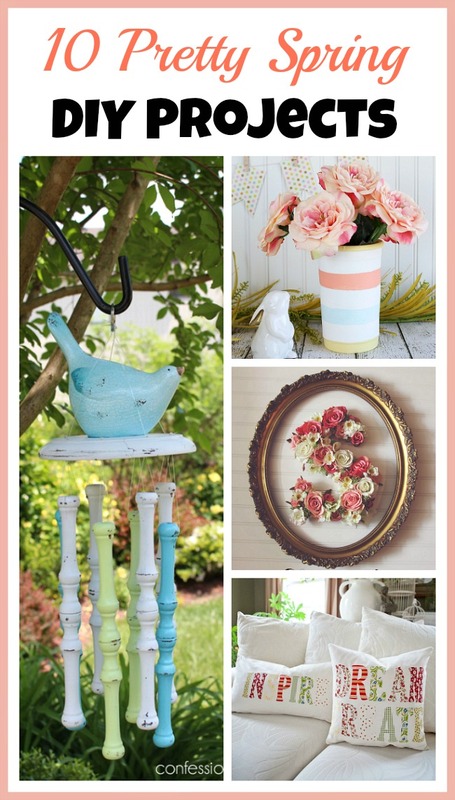 If you’re also finally seeing the start of spring where you are, you’ll probably want to celebrate it inside your home! One of the best ways to celebrate anything is with a banner! 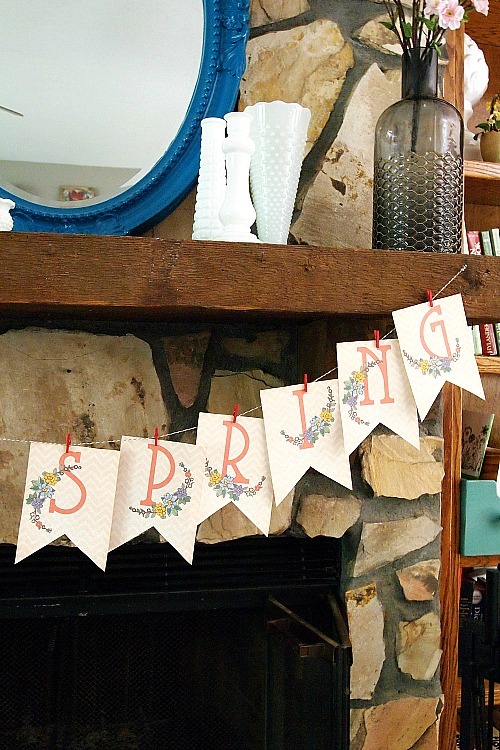 To help you out, here is a “Happy Spring” Free Printable Banner! 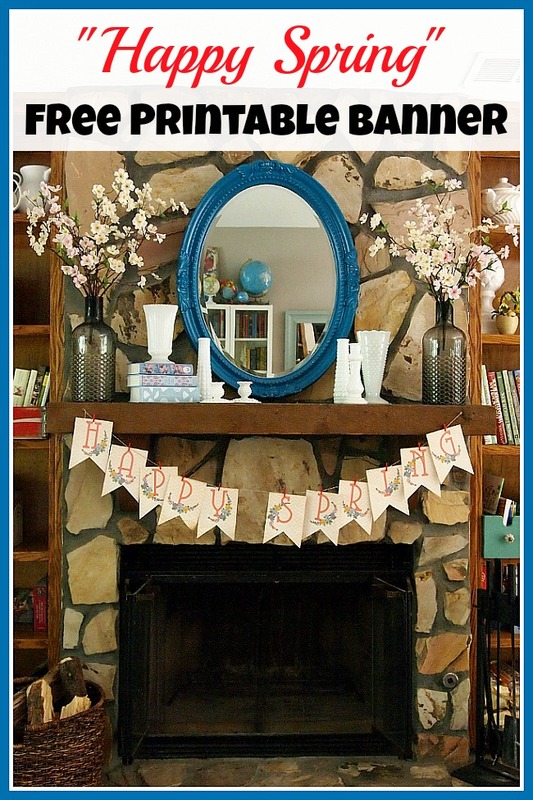 I chose to hang my banner on my fireplace mantel, but if you don’t have a mantel, there are still many places you could hang your banner! Consider hanging it over a window, on a bookcase, off a chalkboard, on a buffet, or even directly on a wall! I used red mini clothespins to pin my banner to the twine, but you could use any color you like! Red matches the letters, but maybe there’s a different color in your home decor or in the banner that you’d rather use instead. Also have fun choosing what color twine to use! Mine was white with fine threads of red in it, but there are so many color combinations that would look cute! 1. 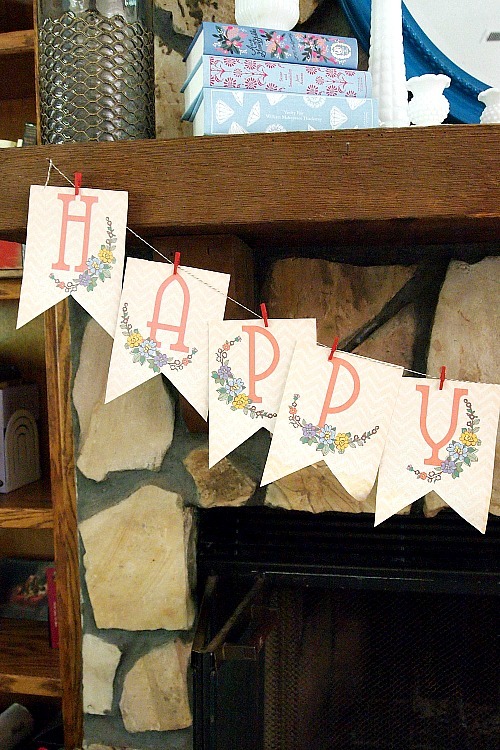 Print out the “Happy Spring” banner (download link above). 2. Cut out the banner. 3. 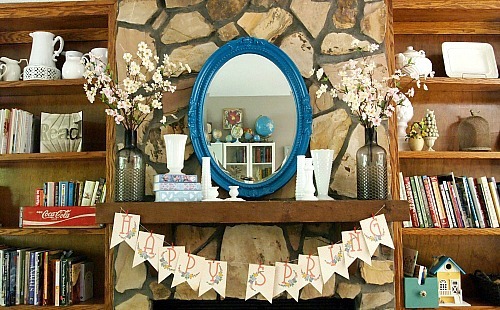 Find where you want to hang the banner, and measure out how much twine you’ll need. Cut the twine and tack it into place or tie it to a nail. 4. Using the mini clothespins, pin each letter of the banner in place, letting them overlap a bit if you like. 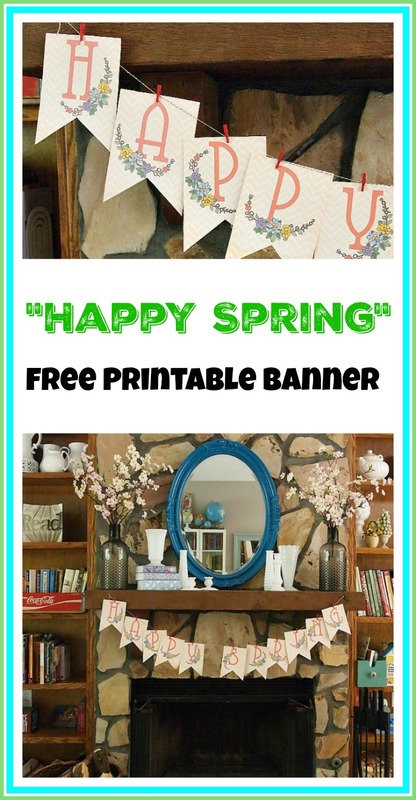 Enjoy your pretty “Happy Spring” free printable banner! I spy some pretty house decorations!